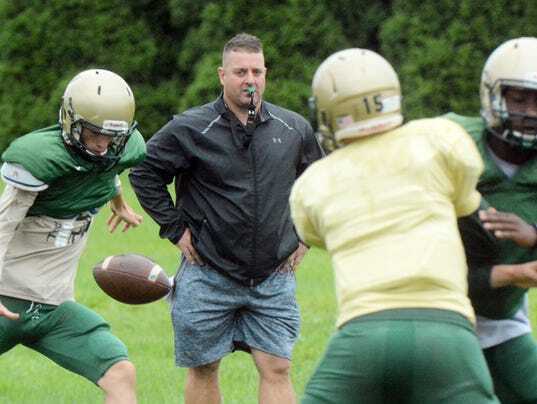 When Eric DePew took over the York Catholic football program before the 2011 season, he wasn’t fearful about setting expectation levels too high. In his first six seasons, he had two losing campaigns (2011, 2012), one .500 season (2015) and three winning years (2013, 2014, 2016). Yet, only last year did the Fighting Irish have any sort of hardware to show for their work, claiming the York-Adams League Division III and District 3 Class 2-A championships. They had three consecutive runner-up finishes in districts from 2013-15.